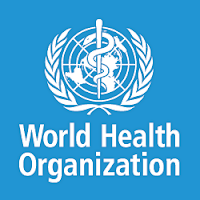 This blog contains excerpts from a very important and readable report published by the World Health Organization (WHO) in 2015. It is primarily from a health and policy perspective and is very valuable for North American as it provides more of a European perspective and is balanced in its approach. The entire 58-page report can be downloaded here. The report is particularly interesting as it hits on many themes that were considered or included in the 2015 EPA wood heater regulations, some of which will be litigated in 2017. It addresses best available technologies, indoor air quality, efficiency standards, stove changeout programs, black carbon, carbon neutrality, HEPA filters and many other issues. One of the overarching conclusions is that national policy should strongly favor pellet over cord wood appliances, a transition that has already occurred in parts of Europe, but not in the US. Authors include experts from the US, Austria, Canada, Finland and Germany. 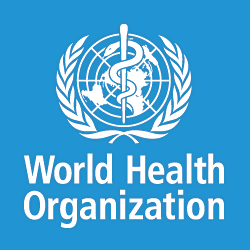 This publication was prepared by the Joint WHO/United Nations Economic Commission for Europe (UNECE). The report describes the health effects of and policy options for dealing with residential heating with wood and coal in Europe and the United States. The results presented indicate that it will be difficult to tackle problems with outdoor air pollution in many parts of the world without addressing this source sector. National, regional and local administrations, politicians and the public at large need a better understanding of the role of wood biomass heating as a major source of harmful outdoor air pollutants (especially fine particles). This report is intended to help increase such an understanding. Measures are available to reduce emissions of solid fuels for residential heating in most places. Encouraging fuel switching (away from coal and other solid fuels) and use of more efficient heating technologies (such as certified fireplaces or pellet stoves) can reduce the emissions from residential wood and coal heating devices. Educational campaigns may also be useful tools to reduce emissions from residential solid fuel heaters. Furthermore, filters may reduce health effects from indoor air pollution. Existing regulatory measures include ecodesign regulations and labels in the European Union (EU) and technology based emission limits in the United States of America and Canada. Financial fuel switching and technology changeout incentives – as well as targeted “no burn” days and ecolabelling – are other tools available to policy-makers. p. 2. Residential heating with wood is a sector in which PM2.5 and BC emissions can potentially be reduced with greater cost– effectiveness than many other emission reduction options. Nevertheless, within Europe and North America only a few countries or states have set legal limits for minimum combustion efficiency or maximum emissions of PM and harmful gaseous compounds like CO and gaseous organic compounds (see section 6). p. 8. In the USA 55% of homes used coal/coke for space heating in 1940, but this fell to 12% in 1960, below 5% in the early 1970s and below 1% from the early 1980s (Schipper et al., 1985; United States Census Bureau, 2011). One study estimates that reductions in the use of bituminous coal for heating in the USA from 1945–1960 decreased winter all-age mortality by 1% and winter infant mortality by 3%, saving nearly 2000 lives per winter month, including 310 infant lives (Barreca et al., 2014). Based on this and evidence that indoor emissions from household combustion of coal are carcinogenic to humans, the latest WHO indoor air quality guidelines strongly recommend against the residential use of unprocessed or raw coal, including for heating (WHO, 2014a). p. 10. A household with wood-burning appliances is likely to be surrounded by other homes with wood-burning appliances, and wood burning also tends to aggregate temporally; thus, on cold evenings and nights most homes in the area may be burning wood. Given that most wood burning occurs in cold locations where homes are well insulated, buildings are expected to have low infiltration (meaning that relatively small amounts of outdoor air pollution, including wood-burning smoke, enter the house and contribute to indoor air pollution), especially during the heating season. In North America heating-season outdoor temperature is an important determinant of infiltration, and infiltration levels are generally lower in the heating than the non-heating season, when doors and windows are likely to be open more (Allen et al., 2012). In British Columbia the mean infiltration fraction of PM2.5 in winter was found to be 0.28, compared to 0.61 in summer, although infiltration factors for individual homes in winter ranged from 0.1–0.6 (Barn et al., 2008); another study reported similarly low mean infiltration levels of 0.32 Å}0.17 during the winter (Allen et al., 2009). Combustion of wood in residential areas and often under cold, calm meteorological conditions can nonetheless lead to high exposure compared to other pollution sources, owing to the principle of intake fraction. Modern wood stoves and fireplaces, when operated according to the manufacturers’ instructions, release some PM and gaseous pollutants directly into indoor air, although in most cases the evidence for substantial indoor emissions from these modern stoves is very limited. With poor operation, poor ventilation or backdrafting, however, elevated concentrations of combustion products (such as PM, CO, VOCs, NOx and aldehydes) may result indoors. Acute CO poisoning, which can sometimes even be fatal, may occur due to indoor wood burning and infiltration of dirty ambient air), especially when ventilation of the wood-burning appliance is not managed properly. p. 21. Such change-out initiatives have potential limitations. The Canadian Council of Ministers of the Environment (CCME) – the association of environment ministers from the federal, provincial and territorial governments – evaluated 12 stove exchange and educational efforts conducted in Canada and concluded that exchange programmes may have limitations relating to both the cost of new technologies and the long service life of appliances once installed. The assessment supported the use of regulation effectively to curb the sale of high-emission appliances. This approach is used in a number of Canadian provinces and American states. The Canadian National Collaborating Centre for Environmental Health found that emissions standards (based on best available technologies) are needed to ensure that the newer devices installed through change-out programmes are among the cleanest available in the marketplace. Without these standards, change-out programmes may, in fact, be lost opportunities to install the cleanest available wood-burning devices, which will be in use for years to come. p. 26. Over the past decade, the European Commission has worked towards the possibility of regulating solid fuel local space heaters and boilers, particularly those that use various forms of woody biomass fuel (wood logs, pellets and biomass bricks), to create proposed ecodesign emissions limits. p. 30. The Wood Stove Decathlon, an initiative of the Alliance for Green Heat, was organized in 2013 to focus creativity and resources on designing next generation wood stoves. The main goal was to challenge teams of combustion engineers, engineering students, inventors and stove manufacturers to build wood stoves that are low-emission, high-efficiency, innovative and affordable, in a common process that may point to commercially attractive next generation stove production (Alliance for Green Heat, 2013). p. 31 Any renewable energy or climate change related policies that support combustion of wood for residential heating need to consider the local and global ambient air pollution impacts and immediately promote the use of only the lowest emission or best available combustion technologies. Legal regulations for wood combustion efficiency in new heating appliances are urgently needed throughout the world. These will both slow down the current rapid speed of global warming (relating to BC in fine particles and VOCs that promote ozone formation) and reduce the great burden of disease caused by wood combustion-derived particles (especially organic compounds carried by BC). Such regulations should include tight – but technically achievable – limits in particular for the primary emissions of particulate mass, gaseous hydrocarbons and CO from new boilers and heaters. p. 32. As new wood-burning devices become more energy efficient and emit less pollution (especially PM), national governments need to prepare heater exchange regulations or voluntary programmes. Municipalities, counties and states should consider requiring heater exchanges at the time of home remodels or sales. In many cases, these regulations will be most successful if financial compensation is offered to assist with the cost of replacing old heaters with those meeting tight energy efficiency or emission limits regulations. “No burn” areas are needed. Especially with current combustion technologies, it is important to define urban areas with dense populations and/or geographical features (such as valleys between mountains) where residential heating or cooking with small-scale appliances burning solid fuels (wood and coal) is not permitted at all or is at least limited to registered models of low-emission wood combustion devices. Residential heating with coal in small-scale appliances should also be permanently prohibited, at least in communities of developed countries, as should the use of wood log burners for central heating without a sufficiently large water tank (which otherwise leads to badly incomplete combustion and very large emissions). As wood is burned ... carbon is released back to the atmosphere, not only as CO2 but in most household combustion also in the form of short-lived greenhouse pollutants such as BC, CO and VOCs including CH4. Thus, to be perfectly “carbon neutral”, wood fuel has to be not only harvested renewably but also combusted completely to CO2. For both climate and health purposes, the form these fuels’ carbon takes when it is released matters greatly, since BC and CH4 are both strongly climate-warming. p. 34. A World Bank study found that replacing current wood stoves and residential boilers used for heating with pellet stoves and boilers and replacing chunk coal fuel with coal briquettes (mostly in eastern Europe and China) could provide significant climate benefits. Another study coordinated by the United Nations Environment Programme and the World Meteorological Organization found that widespread dissemination of pellet stoves (in industrialized countries) could improve health, since these interventions lead to reductions in PM2.5. BC reduction measures would target regional heating stoves for both climate and health benefits (Pearson et al., 2013). p. 35. Given that residential wood combustion for heating will continue in many parts of the world because of economic considerations and availability of other fuels, an urgent need exists to develop and promote the use of the lowest emission or best available combustion technologies. It may be preferable in many cases to focus on making biomass-based home heating more efficient and less polluting rather than transitioning away from biomass to fossil fuels, given the climate change implications of using fossil fuel for heating. Thank you for your blog and get to work. Few resources tell you about the situation with the forest. Informative article, but one important aspect of wood heating versus pellet heating is the independence from a captured fuel source wood heating provides. If one has a pellet stove as opposed to a wood stove and there is a supply chain disruption for any reason, the stove becomes inoperable. Most people recognize the freedom a wood stove provides over a pellet in this case making it difficult to see pellet stoves supplanting wood stoves in the U.S. The myth that wood is carbon neutral surfaces again in this article. It is the worst solid fuel in terms of carbon emissions and then there is the destruction of carbon sinks (forests).